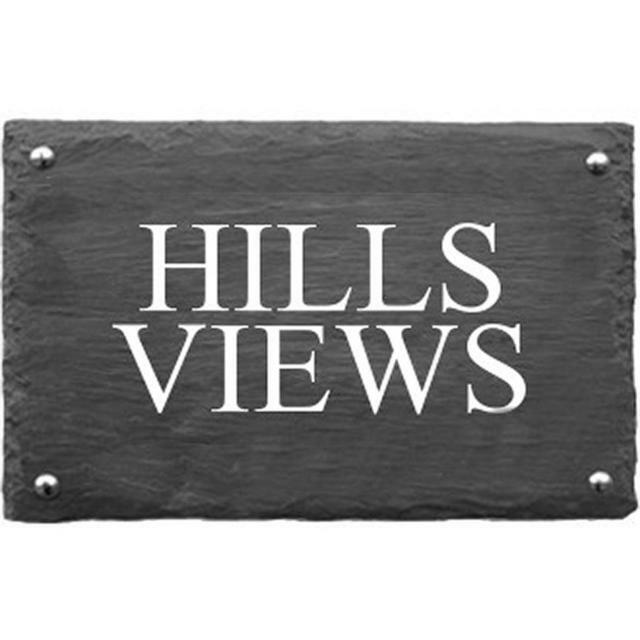 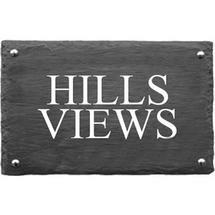 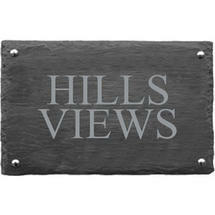 Simple, natural slate house signs. 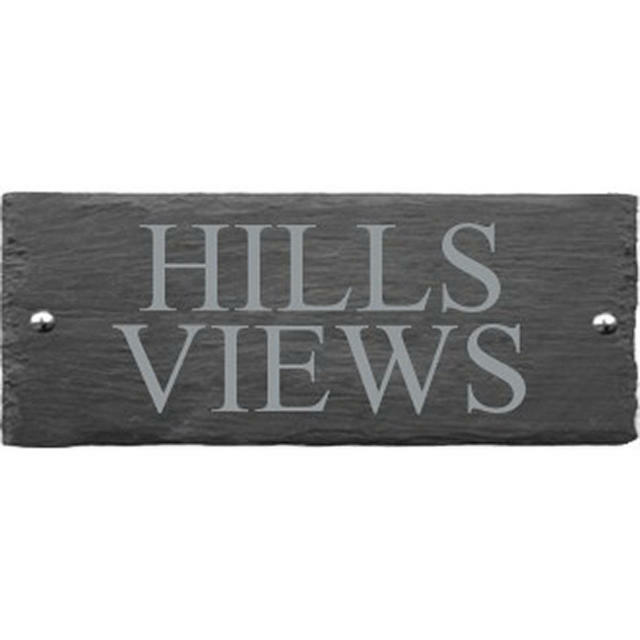 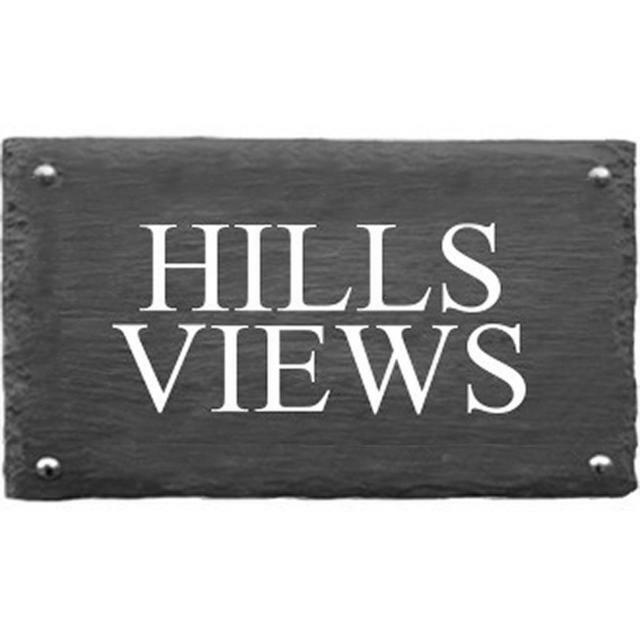 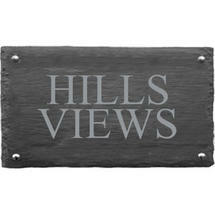 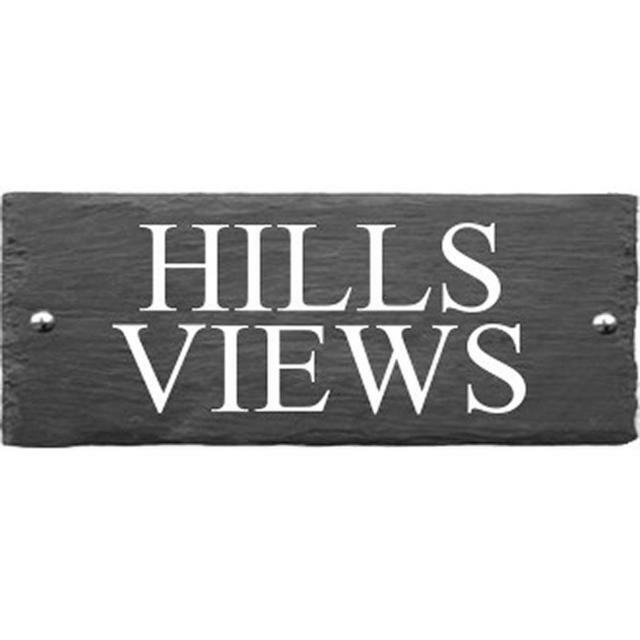 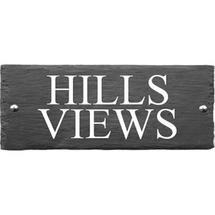 These rustic slate house sign are perfect for a natural looking house nameplate. 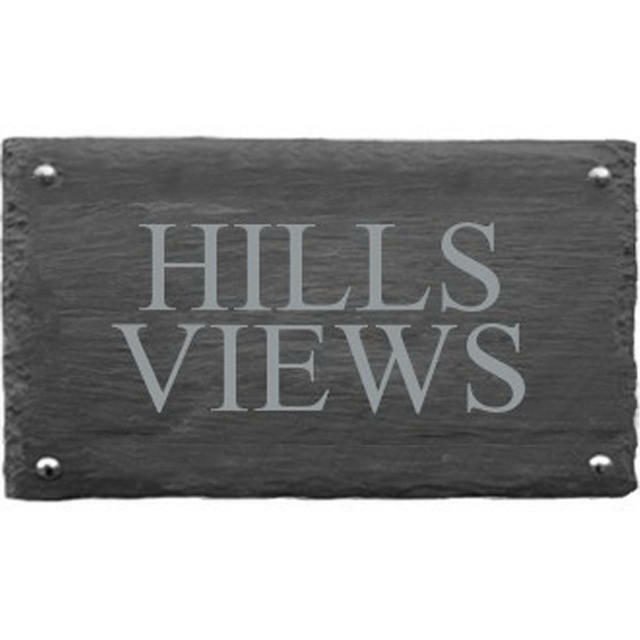 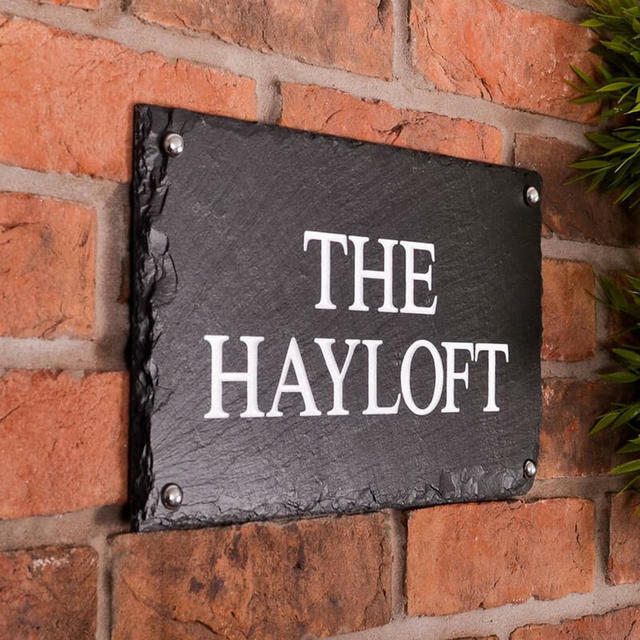 The house name will be sandblast engraved into the slate in your choice of font and can be left unpainted as standard for a natural, yet beautiful effect, or there is the option to have your house sign hand painted in white if you prefer a more defined finish. 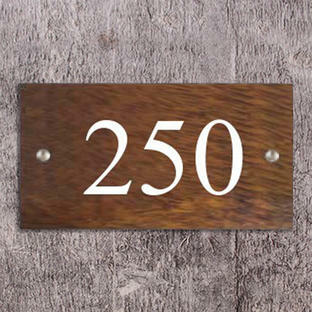 Please note that the natural number will darken when wet. 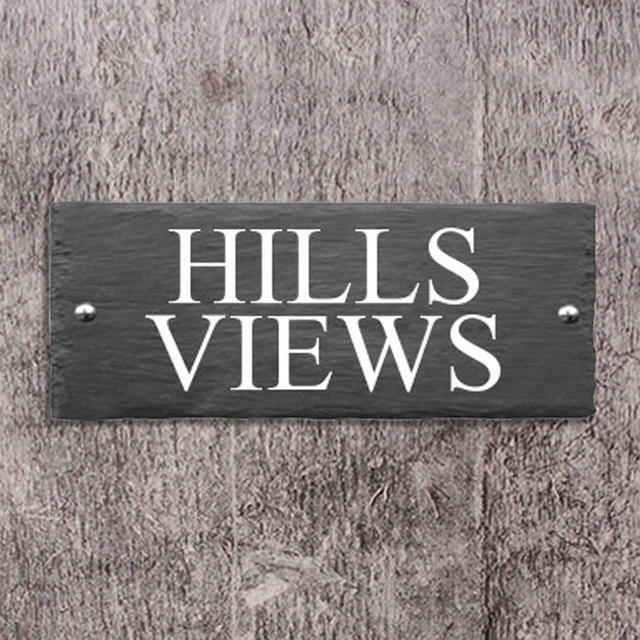 There is a choice of 3 fonts. 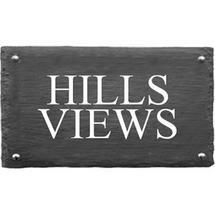 Font choice on line 1 (see below). 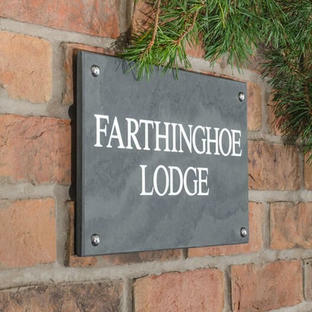 First line of your house name on line 2. 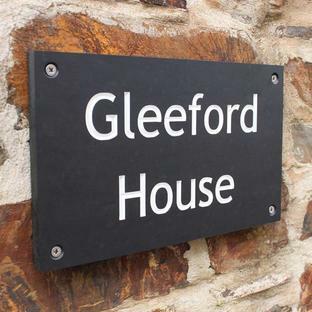 Second line of your house name on line 3. 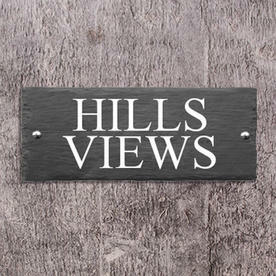 Font alternatives: Copy and paste your choice into line 1. 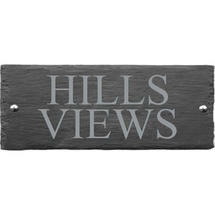 If you would prefer fewer, or more lines, one and three line house signs are also available. 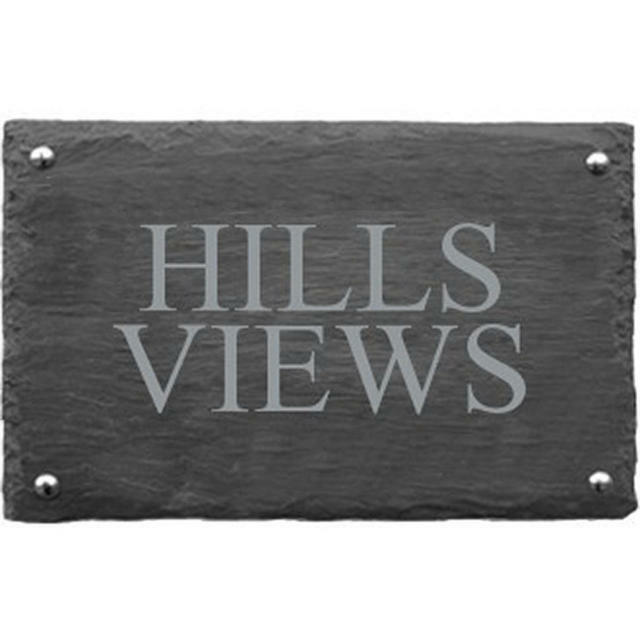 Please note that this is a natural slate product and every slate sign is unique, because of this some tolerance on the size and weight of your sign to be expected.